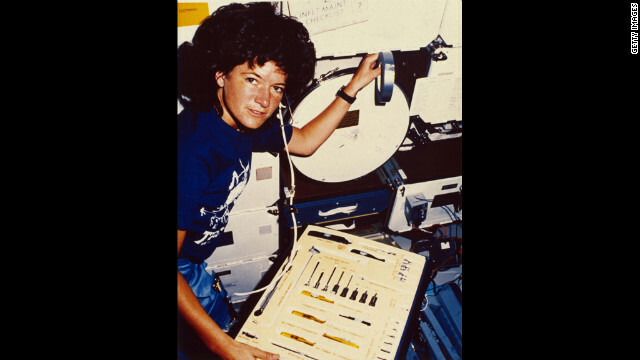 Sally Ride, America's first female astronaut, died Monday, July 23, after having pancreatic cancer for 17 months. She was 61. 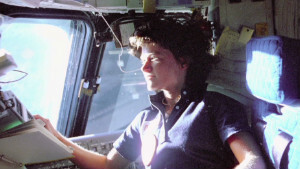 Here, Ride is seen talking with ground control during her six-day space mission on board the Challenger in 1983. 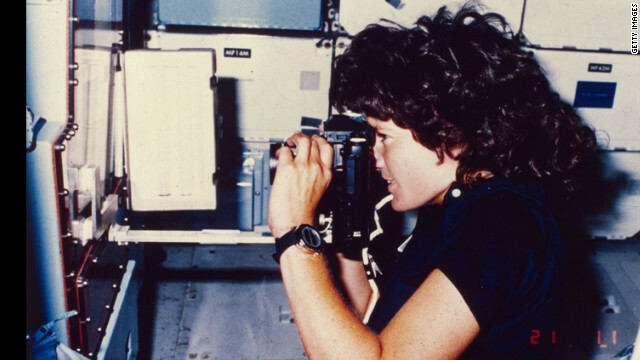 Sally Ride with the other members of NASA's first class of female astronauts in August 1979. 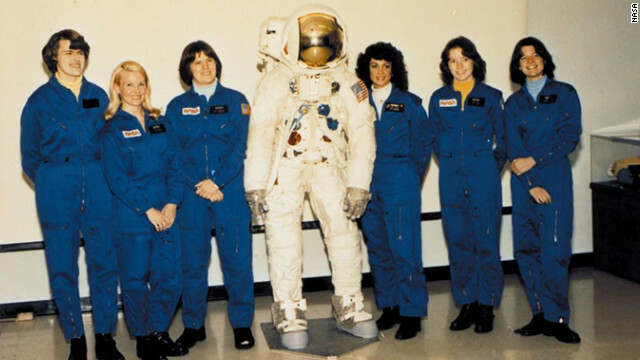 From left to right: Shannon W. Lucid, Margaret Rhea Seddon, Kathryn D. Sullivan, Judith A. Resnik, Anna L. Fisher, and Ride. 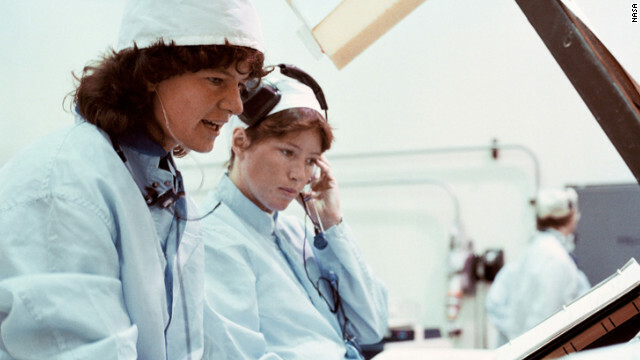 Ride, left, and Anna Fisher work on a mission sequence test as part of their 1978 astronaut class at Kennedy Space Center. Ride appears in an offical NASA portrait in January 1983. 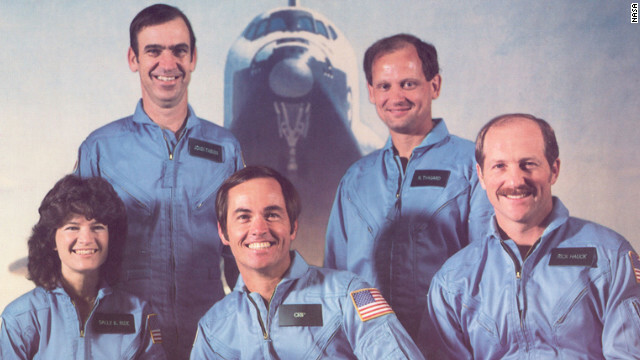 Ride appears, front left, in the STS-7 Challenger Crew photo in January 1983. Front row, left to right: Ride, Cmdr. Bob Crippen, Pilot Frederick Hauck. Back row, left to right: John Fabian, Norm Thagard. A technician helps Ride strap herself into the shuttle mission simulator in Houston on May 23, 1983, less than a month before her launch. 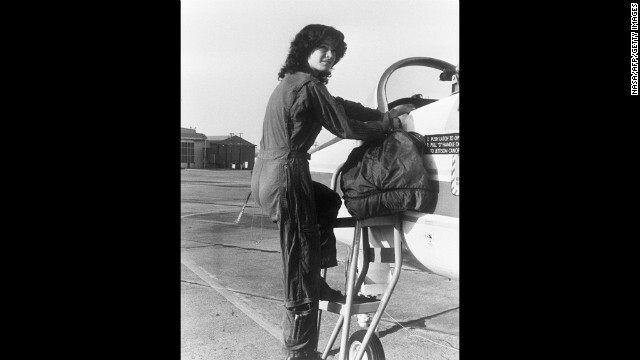 Ride prepares to take off in a T-38 jet as she leaves Houston for NASA's Kennedy Space Center on June 15, 1983, three days before the shuttle launch. 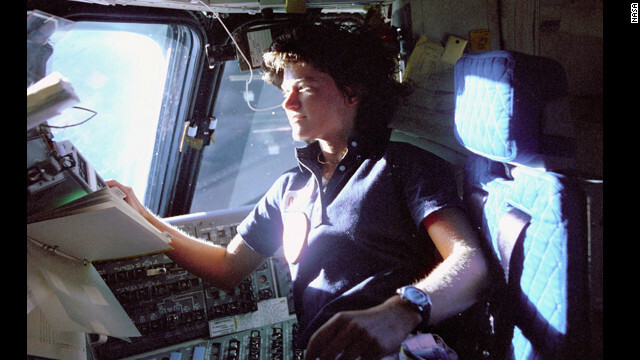 Ride takes her seat aboard the Challenger on June 19, 1983, the day she became the first American woman in space. 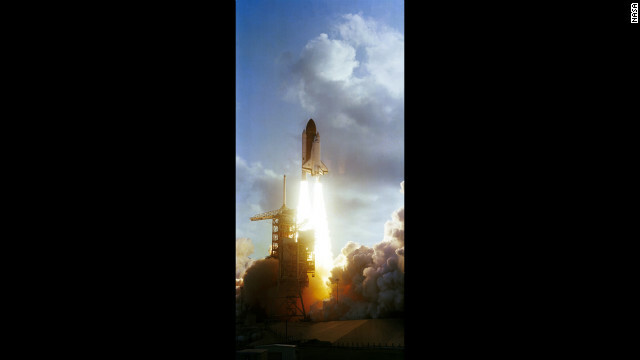 Ride and the other crew members of STS-7 achieve liftoff aboard the Challenger on June 18, 1983. Ride floats alongside Challenger's middeck airlock hatch durring Challenger's six-day mission in June 1983. Ride takes a photograph during her Earth orbit on the Challenger. Ride inspects a tool kit during Earth orbit aboard the Challenger. 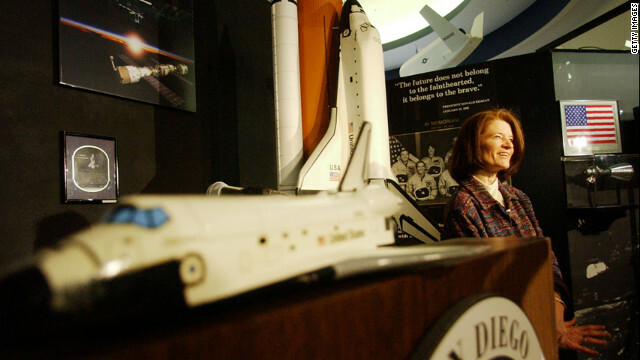 Ride gives her condolences to the families of the space shuttle Columbia crew while speaking to the media at the San Diego Aerospace Museum on February 7, 2003. California Gov. 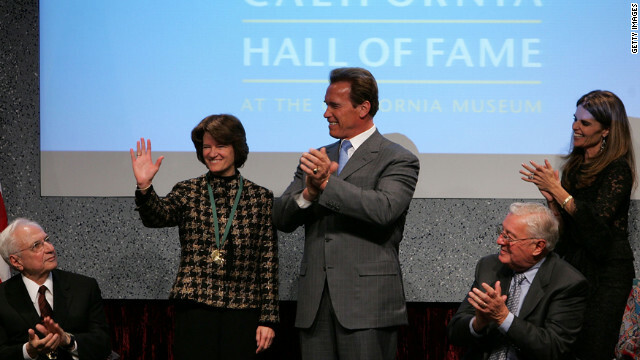 Arnold Schwarzenegger applauds Ride after inducting her into the California Hall of Fame on December 6, 2006, in Sacramento, California. 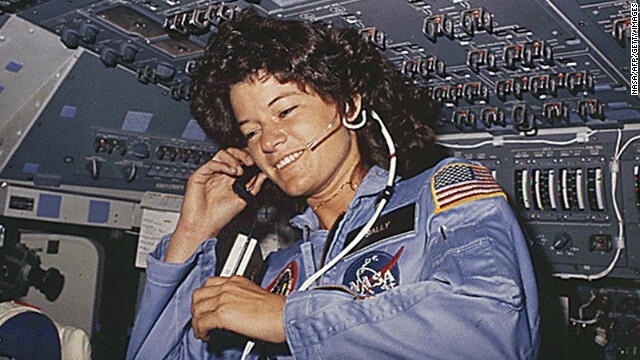 (CNN) -- Sally Ride became the first American woman in space when she flew into orbit aboard the Space Shuttle Challenger in 1983, but that was far from her only achievement. The 61-year-old astronaut, who died Monday after a 17-month battle with pancreatic cancer was an inspiration to women around the world and a passionate advocate of female advancement in the fields of science, technology and mathematics. 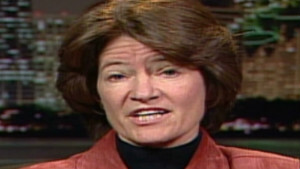 She founded Sally Ride Science in 2001 -- an educational organization which sought to encourage girls and young students to pursue their passion for science -- a predominantly male-dominated field. 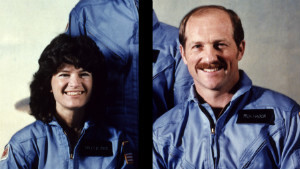 Ride also wrote a number of children's books, earned several degrees (including a PhD in Physics from Stanford University) and returned to space on her second and final mission in 1984. 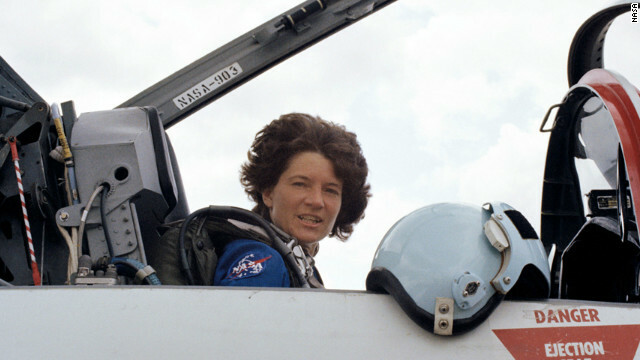 But while she may be best remembered for smashing the glass ceiling of the U.S. space program, the tributes made since her death have emphasized Ride's status as a pioneer and shining example to ambitious women the world over. 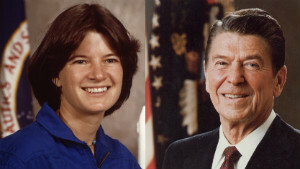 "As the first American woman to travel into space, Sally was a national hero and a powerful role model," President Barack Obama said soon after news of her death broke. "She inspired generations of young girls to reach for the stars and later fought tirelessly to help them get there by advocating for a greater focus on science and math in our schools." Former astronaut and scientist Buzz Aldrin meanwhile tweeted "So sorry to hear of the loss of my friend and fellow astronaut Sally Ride. You will always be an inspiration for women and space." 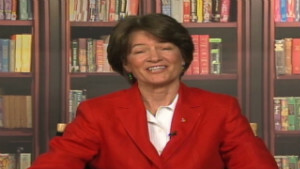 Actor and star of Apollo 13, Tom Hanks, followed up with: "God Speed, Sally Ride. She aimed for the stars. Let's all do the same. Hanx"
These emotional sentiments were shared by thousands of others who got in touch with CNN via Facebook and CNN.com to express their condolences. Annabeth66 posted: "Ride, Sally Ride! You were my hero when I was a little girl and was told by my grade school teacher, that girls can not become astronauts. RIP for you are loved by so many." JusticEdge said: "Sally, you were awesome. I hesitate to use the past tense. You made it in the NASA space program that ... regularly reject(s) Navy SEALS. Thank you for breaking the gender barrier and thank you for showing us that in (these) trying times, decent human being can still be everything they hoped for." Thousands of others took to Twitter to pay their respects, with the tributes coming from every corner of the globe. 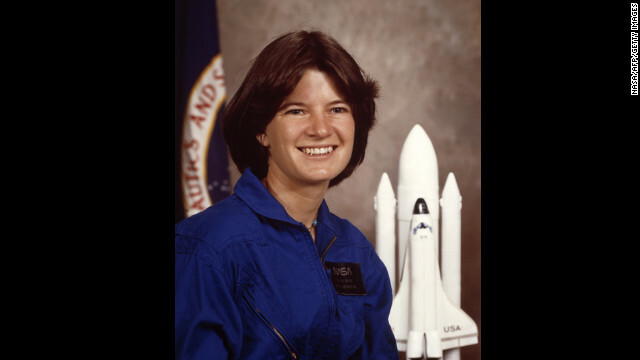 Ingerlindsay tweeted: "RIP, Sally Ride. You inspired millions of girls to be brave _and_ brilliant. We need more role models like you." 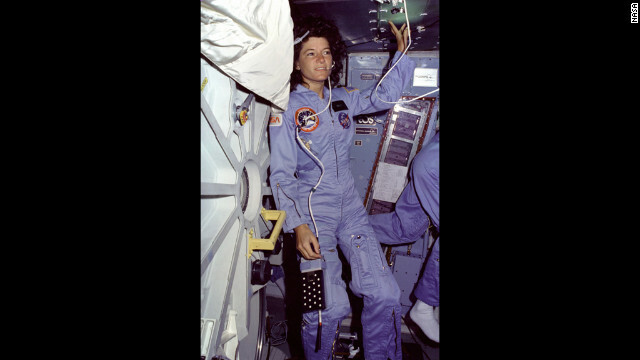 DanaGoh chimed in with: "Sally Ride thank you for being a woman of courage, confidence, and character! Thank you for showing girls that they can achieve anything." 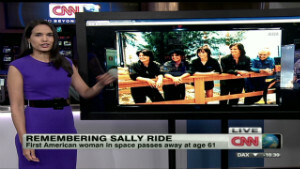 Hundreds of others who got in touch with CNN were keen to share their own personal stories about how Ride inspired and encouraged them at pivotal stages in their lives and careers, proving that women could make it in science. Marhattan said: "You were a childhood hero and inspiration. I stayed home when I was 9 years old to watch the first woman go to space and it altered the course of my life. I graduated with a degree in astrophysics and have been active in the space community my entire adult life in large part because her actions and courage ... I hope she died having some idea of the extent to which she had a positive impact in the lives of others. Thank you!" KJ posted: "Thank you Dr. Ride; you were my role model. I was given a poster of you on my 6th birthday. You autographed it to me when I was 12. It hung on my wall all through high school, my college sorority house, grad school and I hung my stole next to it after earning a doctorate in physics." "Today when I heard, I brought the poster home from my office and gave it to my 6 year old daughter. You inspired me to fight, to strive and to achieve. Thank you for inspiring my life Dr. Ride." JulieMurphy meanwhile added: "Thank you for being such a positive role model and an inspiration! You were my childhood hero and I was blessed to have the opportunity to meet you a few years ago. That was one of the greatest experiences of my life! May you rest in peace. I think the stars are shining a little brighter tonight in your honor."